Kason is an entrepreneur and has over three years experience running a business. He received a Bachelor's degree from Weber State University. He enjoys learning, investing, and serving in the community. He has been coaching Track and Cross Country and Woods Cross High and South Davis Jr. High for three years. 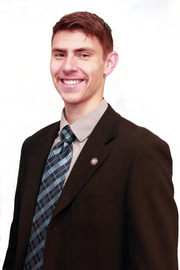 Kason is passionate about helping individuals invest in properties and receive top dollar in selling their homes.